Every once in a while something different happens, something that makes you pause, reflect and reassess. Chris McClarney is that ‘different thing’. Unassuming, yet possessing a voice that could stop traffic, Chris is an underground phenomenon whose name has the currency of gold. 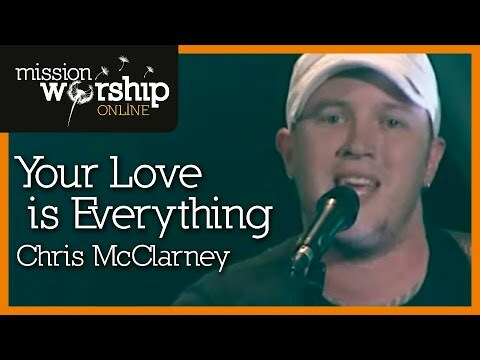 From iTunes charts to church movements, many, many people are talking about Chris these days, but Chris McClarney is not one of them. That underground swell has been going on for a while, but over recent months things have gone just a little more crazy than usual. Having given birth to the song ‘Your Love Never Fails’, Chris has found himself as songsmith-of-choice for one of the most dynamic mass mobilisations of the day; the Redding, California-based Jesus Culture youth movement. 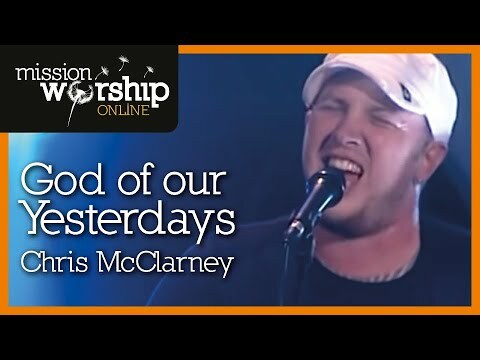 Having adopted it as the title track of their 2008 album, the army of believers singing of God’s constancy in the midst of trials goes larger every day. Search for the song on YouTube and you’ll find page after page of videos that show just how far the song has reached. So what’s the backstory? Well, first, there is the voice. Anyone who’s heard Chris sing will know what we’re talking about. Rich in tone like an ocean of prairie wheat, potent like the southern summer sun. More soul than a Mustang, more drive than a Superbowl charge. Chris has been blessed with a voice that is so full of life, so full of power and passion that it seems to come from within the listener themselves. Listen - even briefly - to his songs for the first time and you’ll uncover something intriguing: a selection of worship tracks that are as raw and unpolished and soaked in the presence of God as they come. Soak in them a little longer – with their improvised digressions and their epic crescendos – and you’ll get an impression of the kind of man Chris is. You’ll understand that he’s a worshipper through and through, one dedicated to drawing the eyes, heart and songs of the church up towards our heavenly Father. Chris lives in Nashville with his wife Jasmine, and his three daughters.